The move of former Special Assistant to the President (SAP) Bong Go to bare his tattoo-free back belies the accusations that he has links to the illegal drug trade, Malacañang said. He earlier challenged people behind the viral video to file charges against Go if they could prove their allegations were true. 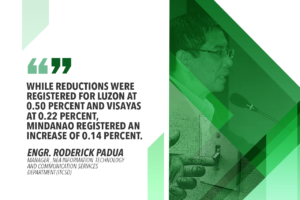 Panelo meanwhile, said the Executive Branch will continue reporting the achievements of President Rodrigo Duterte regardless of the black propaganda hurled by the opposition at his administration. “Hindi pa po ako kahit kailan nagkaroon ng tattoo sa buhay ko. Balat at nunal po marami po ako sa likod ko (I’ve never had a tattoo my entire life. But I do have a lot of birthmark and moles on my back,” the former presidential aide said. He dared accusers behind the viral video to surface, saying he could easily show his back and prove them wrong. “Kapag wala silang napatunayan, dapat silang humingi ng tawad sa Pangulo at sa bayan at harapin ang kasalanan nila (If they can’t prove anything, they should apologize to the President, to the Filipinos, and face their wrongdoings),” he said. Go described those behind the viral ‘fabricated’ video as “desperate” to hurt his chances of winning a Senate seat in the May 13 midterm polls. “Alam mo desperado na yung mga nag-iimbento (niyan). Duda ko yung nagsasalita diyan na nambibintang, yan siguro yung totoong drug lord (You know, those who fabricated the video are desperate. I suspect the one speaking in that video is the real drug lord),” he said. A video titled “Ang Totoong Narco List” (The True Narcolist) circulated on social media linking Go to illegal drugs. 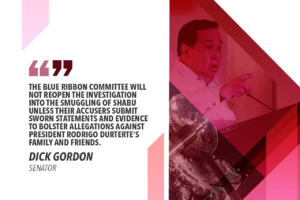 The allegations came from a certain “Bikoy,” who is supposedly a former records keeper of a narcotics ring operating in Southern Luzon and the Visayas. “Bikoy” also linked the President’s son, former Davao City vice mayor Paolo Duterte to the illegal drug syndicate in two earlier videos posted online. “Hindi kami nakikipag-kaibigan sa mga durugista at mga drug lords. 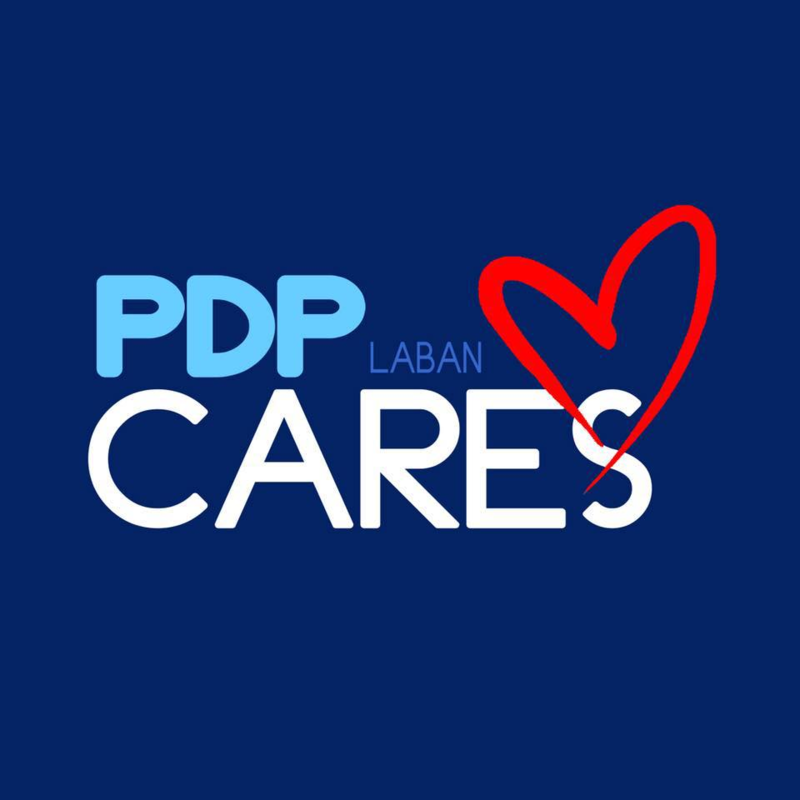 Pag dumikit kayo sa amin delikado kayo (We don’t make friends with drug pushers and drug lords. If you stay anywhere near us, you’ll be in danger),” he said. 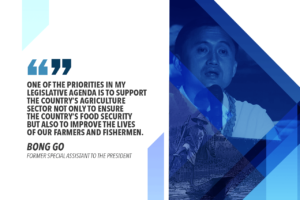 He emphasized that he is only willing to help those with legitimate investments or businesses that could provide jobs for the Filipinos but would never associate himself with illegal drugs.